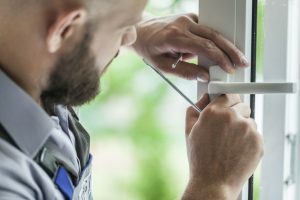 As a beneficial add on to our expert emergency locksmith services our team includes experienced carpenters to make good any burglary damage and secure your property. Few feelings are worse than arriving at home or work to find you’ve suffered a burglary, and sometimes it’s the middle of the night and your building has completely lost a door or window. Security Masters provide a fast and effective solution with a 24 hour emergency locksmith call out service, which includes repairs to your doors, windows and frames, getting your property secured and ready for a consultation on preventing another break in attempt. We take care of burglary damage fast so it’s one less thing you need to worry about. As full members of the Master Locksmiths Association all our customers domestic and commercial, can feel assured in our team’s reliable hands. Many of our locksmiths are carpentry trained and are backed up by a team of specialist carpenters and joiners, so whatever the requirement our team will be able to take care of it to the highest quality and standard. We can install our own timber doors, steel doors and reinforced door frames, or offer a wide choice in styles and features from other manufacturers.